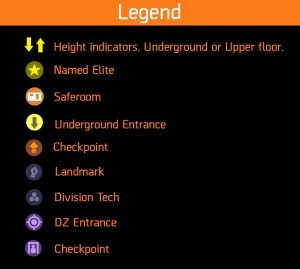 Finally starting to grind out levels in the Dark Zone? Trying to reach DZ Level 50 or even 90? 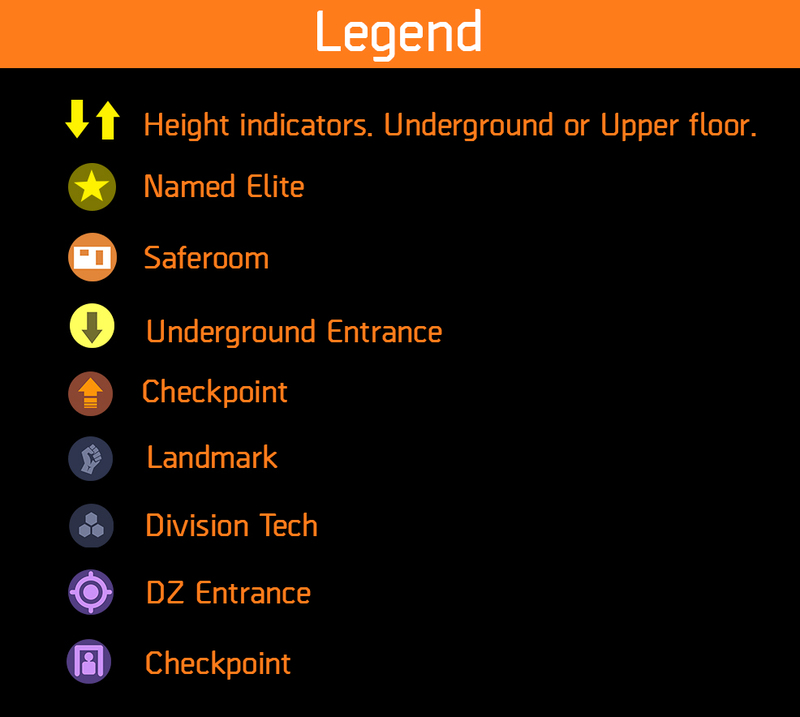 The two main sources that you want to farm in the Dark Zone are named elites (yellows) and Division Tech boxes. Named enemies will ALWAYS drop a High-End(Yellow) item with a chance to drop a Set item. They also drop some Phoenix Credits and have a high chance of dropping Division Tech. Division Tech boxes are a great source for its rare crafting material, but unfortunately like all boxes in the Dark Zone, it is public loot. This means that anyone can open them and the re-spawn timer on these chests is around 2 hours. For the sake of aesthetics, this is listed just like your in game map, north to south, DZ06-DZ01. 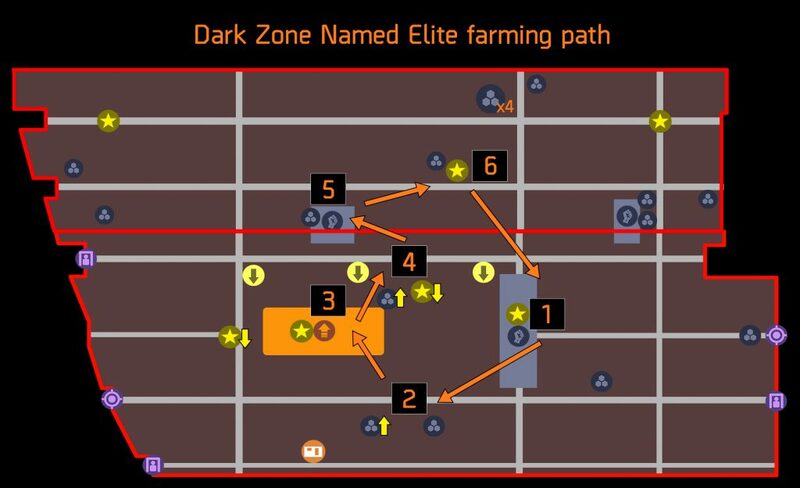 This is our preferred farming path while in the Dark Zone. You run into 4 Named Elites every 10-15 minutes with an extraction zone at the end of the rotation. This may not be the most efficient path or even the best path, but we chose this path because of the constant stream of named elites. At the moment, killing named elites is a much better source for Division Tech than the Division Tech boxes themselves. Also note that this path is inDZ03-DZ04 and mobs here are only level 31. If you think you have good enough gear, start moving towards DZ05-DZ06. Underground – Take the underground entrance north of the extraction point. You could add up two to three more named elite kills to this path, but we’ve found that the timing on this path is nearly exact to the spawn timers of each named elite. By the time you make a full rotation and reach back to the first named elite you killed, it should spawn almost the same time as you approach the area, or even slightly before. If you find yourself clearing the mobs too fast and reaching finishing the rotation before they spawn again, try adding the two DZ04 to your route. This also has alot of DZ tech boxes along the way. We found that the time it takes to kill mobs and safety from death factor makes this path much more worth doing than going to DZ05 – DZ06. A new addition to Patch 1.1 are Supply Drops. Random airdrops of loot that happens every hour or so. The nice thing about supply drops is not the loot you can get if you claim it, but the Named Elite that spawns with it. At the moment, supply drop crates do have a chance to give set items, people have mostly been getting purple quality gear. 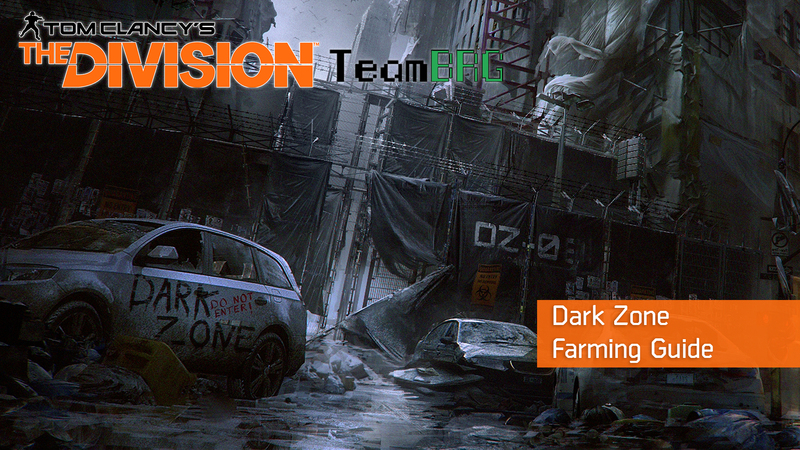 That’s it for our Dark Zone Farming Guide. Stay tuned for more guides coming soon!